Reading for Research: Where to begin? I was stuck, like gum in my hair, kite in a tree, bumper to bumper traffic stuck. The opening to a narrative nonfiction picture book biography I wrote lacked something. So I turned to mentor texts for help. I read a dozen picture book narrative nonfiction biographies and paid special attention to the beginnings. The mentor texts below show how Arndt’s advice is applied to picture books. The main character is introduced, the author shows what they loved…but… The character flaw in picture books is typically something the main character wants and whatever that is, it won't be easy to get. In this hero journey structure, the opening introduces the story. That said, illustrations also play a large role because they do a lot of the heavy lifting. Titles too. After reading each beginning I learned who the story was about, their conflict or something unique about the character that made me wonder. I wanted to turn the page to find out what happens next. Did the character get to do what they loved? How? Even though readers know the main characters in picture books do typically get what they want in the end, writers must hook them in the beginning. And that starts with writing a stellar opening. Well, of course I am partial to stories set in New Orleans. This beginning sets the tone not only about Mahalia, the main character, but draws us into her physical world. The lyrical language is lovely. Musical. 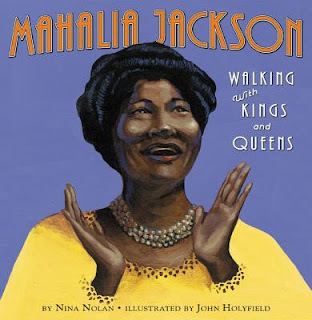 People might say little Mahalia Jackson was born with nothing, but she had something all right. A voice that was bigger than she was. It was New Orleans, and music was everywhere. Blues spilling through windows. Jazz pouring out doors. But it was gospel that Mahalia loved. Early in the story we learn Tie Sing wants to fit in to the country he loves, but the society is filled with prejudice. The reader is rooting for him from the start. 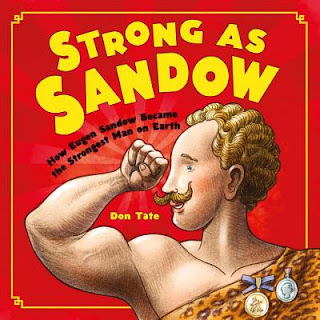 On the first page we learn a lot about Sandow, including who he became is not who he was at one time in his life. How did he change? In his day Eugen Sandow was known as “the Strongest Man on Earth.” He could break metal chains by expanding his broad chest. He could hoist a grand piano over his head. He boasted that he once wrestled a five-hundred-pound lion. No doubt Eugen Sandow was the strongest of all strongmen. But he wasn’t always strong. 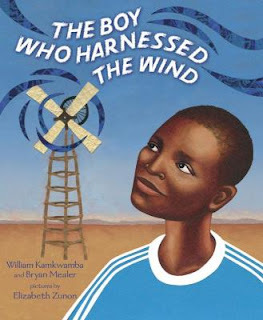 Here, the reader feels William’s dreams will lead to something big despite his living conditions. In a small village in Malawi, where people had no money for lights, nightfall came quickly and hurried poor farmers to bed. But for William, the darkness was best for dreaming. Great post, Keila! I love studying pb biographies. Thanks Tina! So much learned from these great books. I especially appreciated the way you classified these PB bio openings. This is post I'll refer to again. TY, Keila. Keila, I LOVE this post! Thanks for a great reminder about beginnings and how to write great ones. Thank you for sharing this very insightful post. It is so helpful to classify the types of conflicts we see in different PB bios. I will be bookmarking this. Wow! What a fantastic post. It has me rethinking some of my current WIPs. Thanks so much! Thanks, Keila! You've just cracked a story open for me. Cheers! 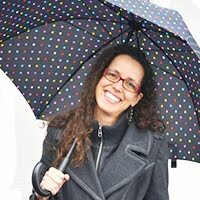 Thank you, Keila :) Your examples are gold! These are some wonderful examples. Thanks David. Great mentor text are so helpful. This was excellent! Many thanks - struggling right now for a beginning. Oh, I hope you get unstuck soon Linda. This is extremely helpful. Thanks for your post, Keila! What a great way to "show not tell" us about great beginnings. I'm sure I read this many times over. Hi Angela! Happy you enjoyed it. Thanks to you posting this I rewrote my opening. It's much better. Thanks, Keila. Loved the examples. So happy it helped Kaye! 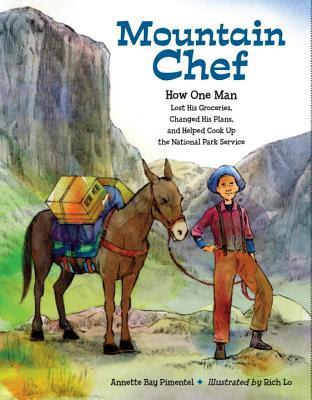 Thanks for including Mountain Chef in such great company! You are welcome Annette. Stellar mentor text all around! Thanks for this awesome post, Keila. The beginnings are so fabulous! Great choice of texts to share. Welcome Carol. Thanks for stopping by.